CVS - Nothing amazing, but plenty of ExtraBucks deals, plus BOGO on MUA. 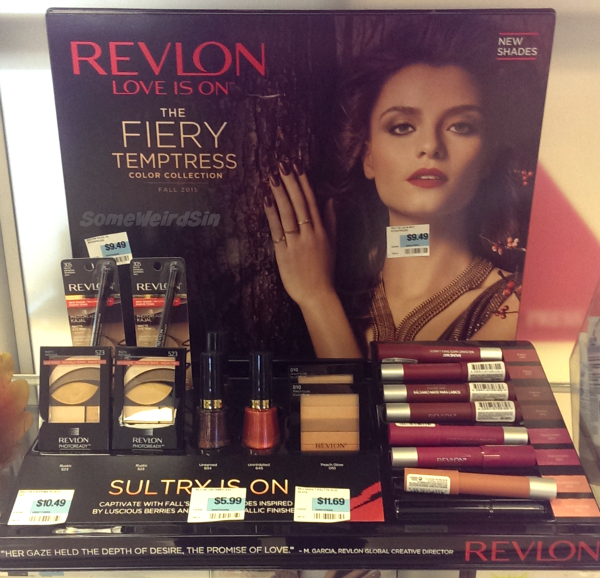 Rite Aid - 40% off Wet n Wild, L'Oreal, and Almay. Walgreens - A bunch of BOGO50% deals. It's a good thing I shop alone most of the time, because I don't know anyone locally who wouldn't have rolled their eyes at my glee and excitement when I found this display yesterday. 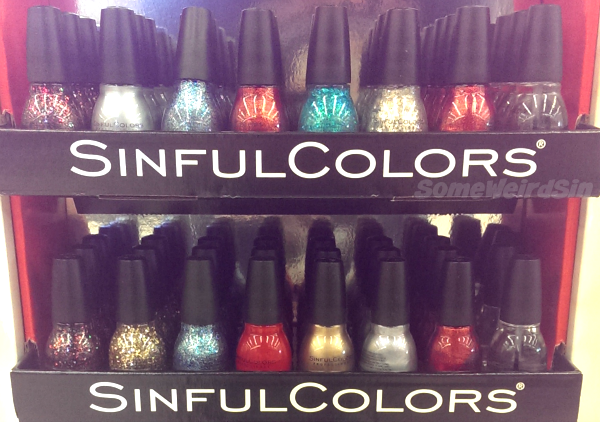 There are six new shades, along with some core and repromoted stuff. 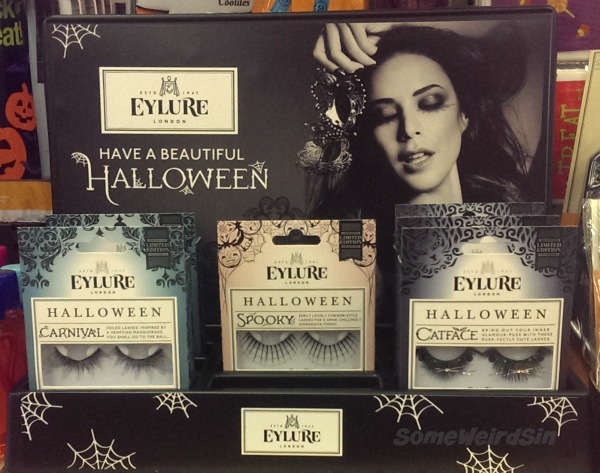 Three of the foils from the '13 Decorate Decadently collection are back. So is last year's Steel My Heart, which is probably my favorite pink. Let's take a closer look at the rows, then I have some closeups of the new shades below. Velvet Rope has an intense glow that reminds me of China Glaze's fleck shimmers or that Zoya's Ignite collection. Star Studded has gold shimmer and silver glitter, including a scattering of stars. Touch Of Class is light gray with fuchsia shimmer. It might be dupey for OPI It's Totally Fort Worth It. Flake Out has silver shimmer, Blue glitter, and silver holo snowflakes. Silver Crush has a TON of big silver squares mixed in with smaller glitter. I almost missed It's A Wrap because it's only a touch lighter and brighter than Gold Medal. So far I've gotten Touch Of Class, Velvet Rope, and Star Studded. I want ALL of the new ones, but I'm gonna wait and see if they do another 99¢ sale in early November. AAAAAH!! Finally!! I was worried I'd never find this display. I grumped about it in a comment on one of the brand's IG posts. Jennifer (macleod07fj on Instagram) let me know that Walgreens associates can check the stock at other locations if you have the UPC. She even DM'ed me the UPC's! She's that awesome! I had someone at Walgreens check them for me and a store only slightly farther south than I usually go had them! HOORAY!! I'm now the delighted owner of Stone Cold, Devil's Stare, Go Batty, and High Spirits. Thanks again, Jennifer! 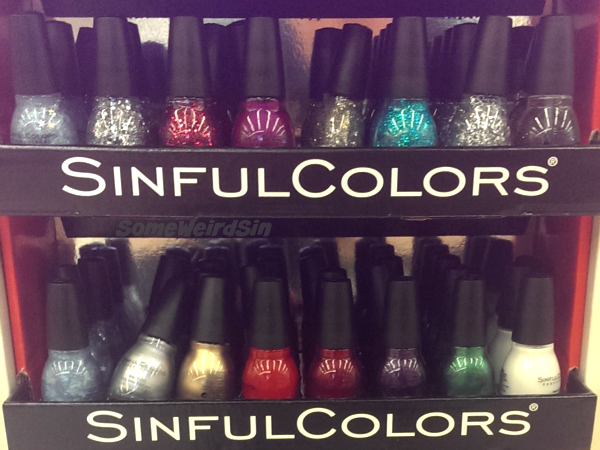 I'll be setting up a page on the blog as a repository for Sinful Colors UPC codes soon, to help you track down elusive exclusives too. MUA/IG user velvetfrogg (how great is that name!?) is going to get me at least some of the Walgreens item codes too, to make it even easier! 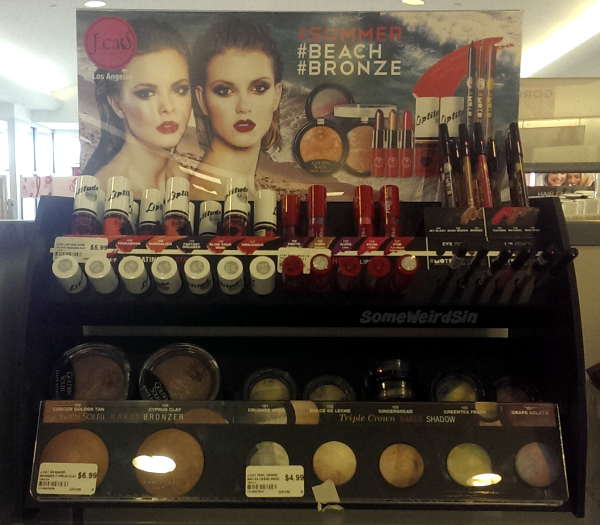 The store that had the endcap had the corner display too, but it was really picked over. I want that big ring on the hand model's middle finger! Weird that they changed the color, but I like the purple way more. I hadn't seen these before. 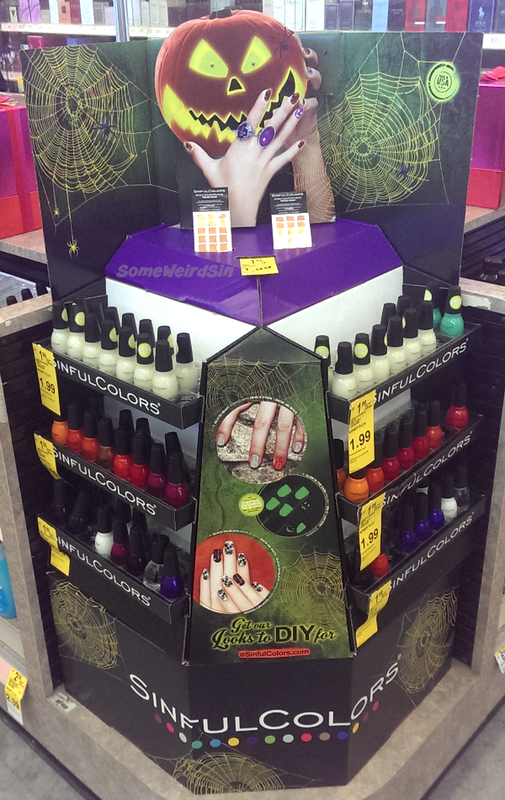 The Walgreens Halloween cosmetics selection really seems to vary from one location to another this year. 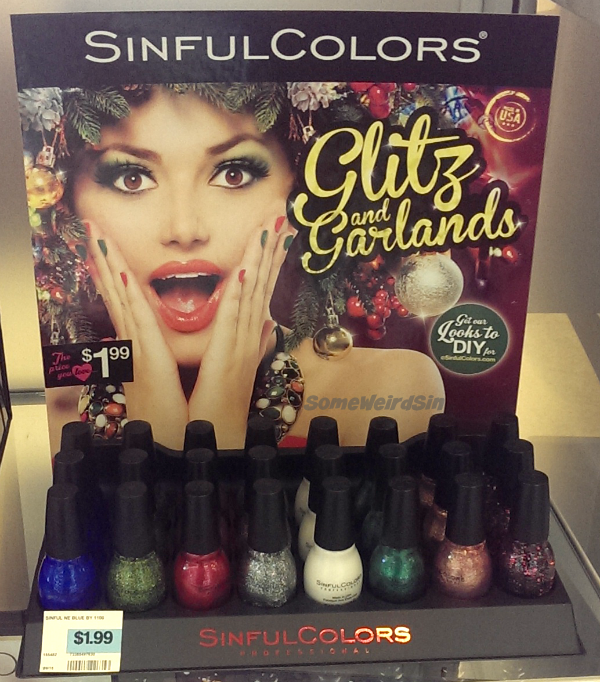 I found this display at Kmart, but it should be turning up more widely pretty soon. 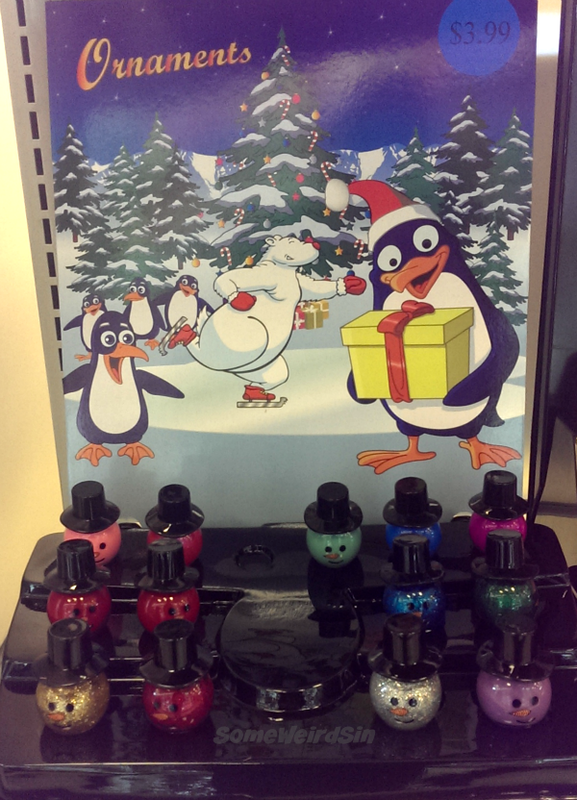 All of the polishes are shard toppers, along the lines of the ones Sally Hansen had last fall. They're both Coty brands, so maybe that's not a coincidence. The snowman head polishes at Rite Aid this year are made by the same "this isn't Blue Cross Cosmetics" brand as the pumpkins. 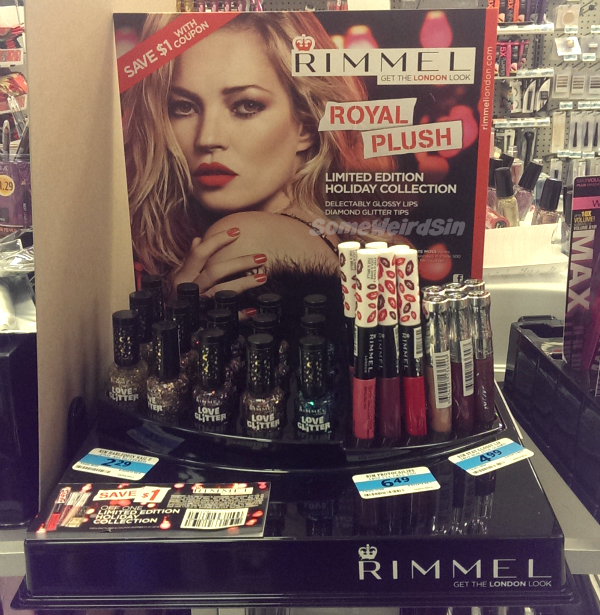 Similar to those, there's a display of just polishes and another display with a mix of items. 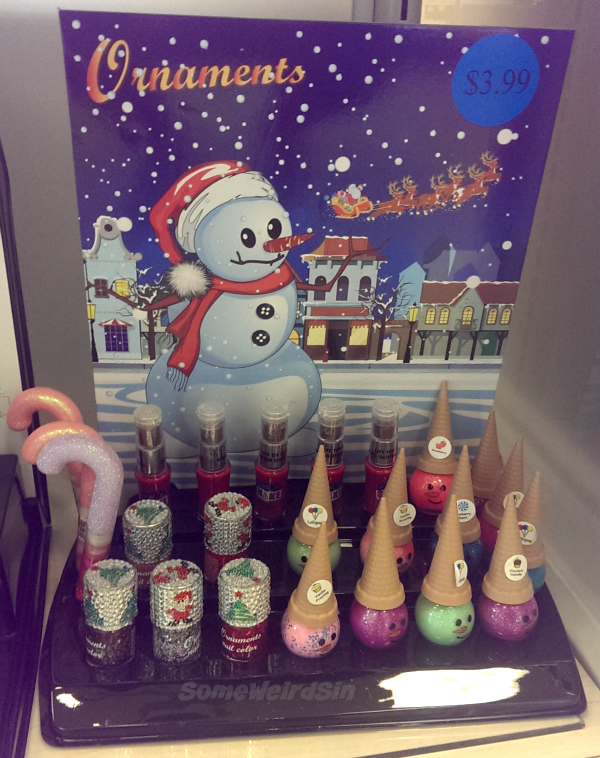 Those...ice cream cone snowman heads?...are scented polishes. Oh boy. 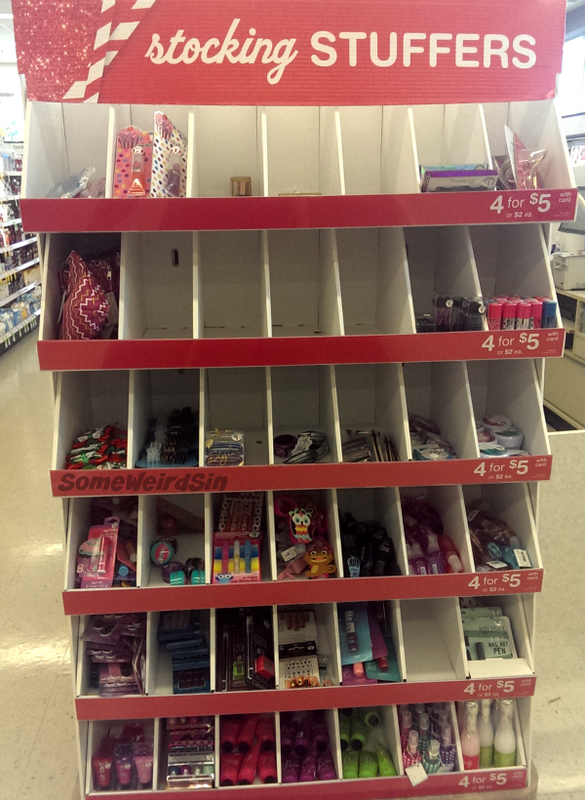 The same Walgreens that had the The Finishing Touch display was also setting up this familiar stocking stuffer endcap. They hadn't finished stocking it (ha ha) yet, but it looks like it has the same type of offerings as previous years...shower gel, cutesy purse accessories, a smattering of nail stuff, etc. The price has increased a little. Nothing is $1 this year. It's all $2 each or 4/$5. I haven't been tempted by what I've seen in there so far, but who knows what else is going in? I'll post a full display once I find one. Am I nuts or was this same display out last year too? You've probably seen this display for yourself by now, but I figured I might as well add it. I'll be buying Untamed when the price is right, but these will be going into the core display, so there's no rush. 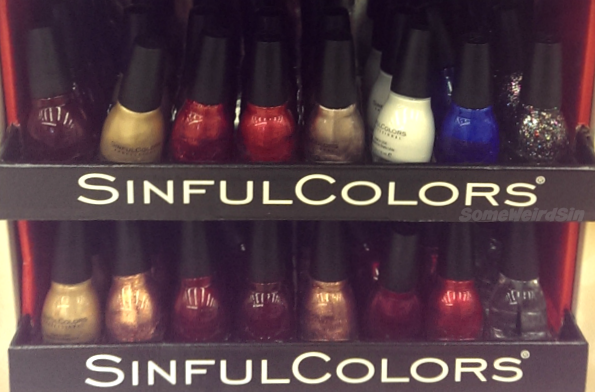 Totally not makeup related, but I saw something in Walgreens that made me chuckle. Look! 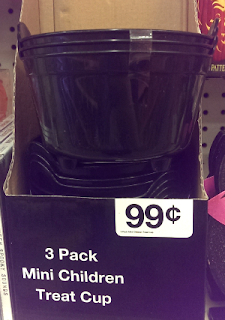 Mini childrens...err..cauldrons... Curse you, spell check!